I'm having a sale on my TpT site. Everything is 20% off until Monday night! This is a special celebration for our new Facebook Group, The School Counselor Store. 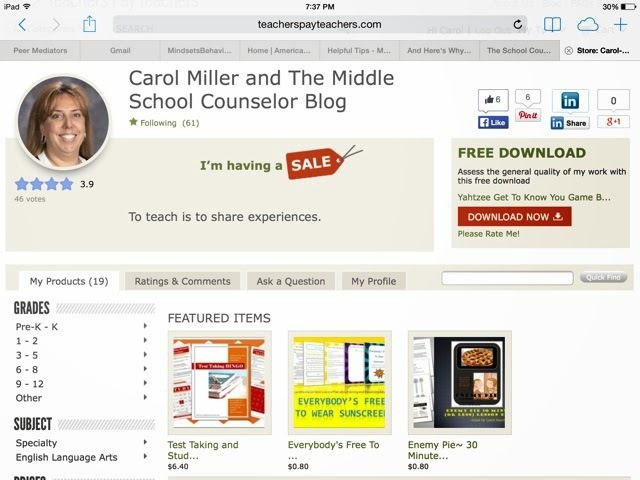 Hope you join our group and take a look at my store as well as other school counselor stores. Here is the link to my TpT Store.